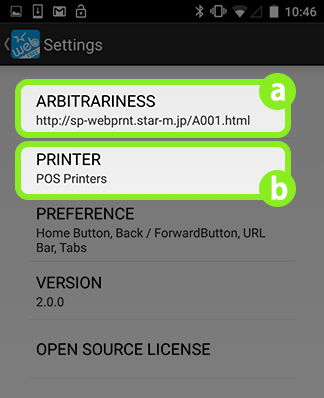 When using a Star Bluetooth WebPRNT receipt printer the Star WebPRNT Browser App is used instead of Safari/Chrome on your iPad or Android tablet. The app will run in full screen mode and is used to both view/use the ShopTill-e ePOS and to print receipts from it. 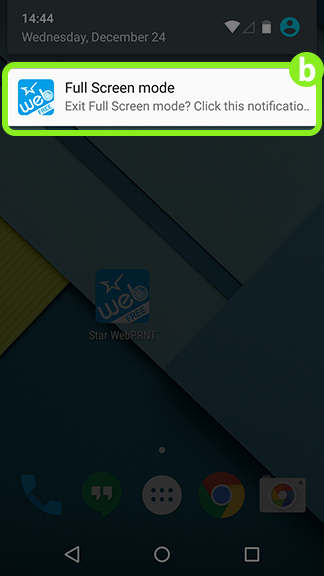 It is important to note that the Star WebPRNT ANDROID app doesn't currently support the ShopTill-e ePOS offline mode. 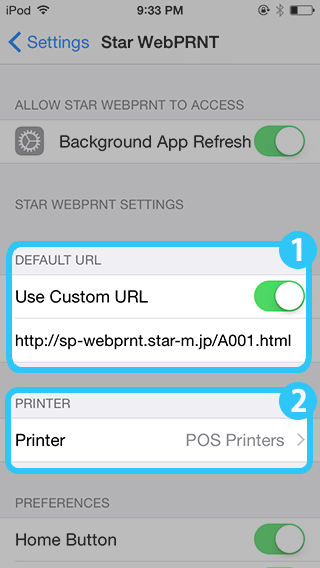 Install the "Star WebPRNT Browser" from AppStore. 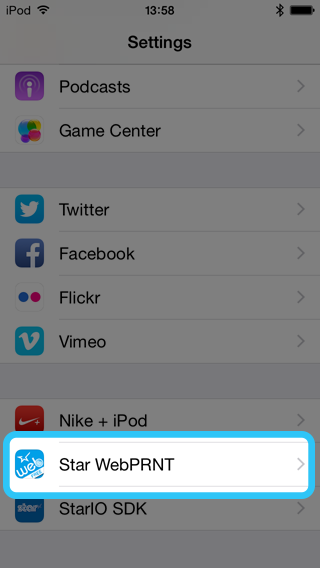 Pair a Bluetooth printer with your iOS device. Default is the Star WebPRNT sample site. 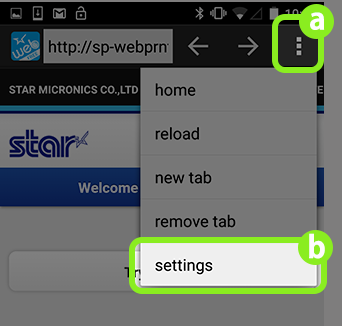 Open the Star WebPRNT Browser your ePOS screen will now be shown, place a ePOS transaction and print. 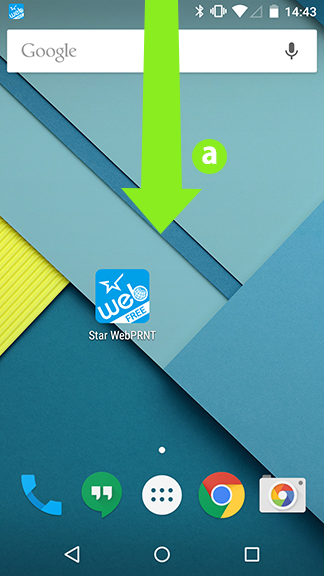 Install the "Star WebPRNT Browser" from Play Store. Pair the Star Bluetooth printer with your Android device. 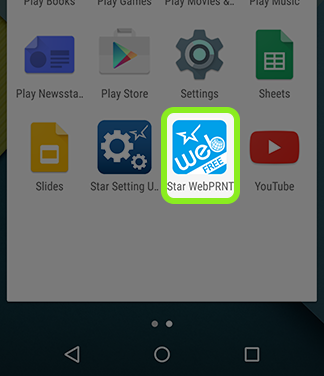 Specify the URL of the Star WebPRNT Browser and the type of printers to use. 1) Open the Star WebPRNT Browser. 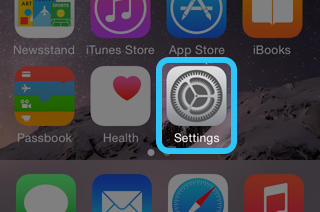 2) Tap (a) and select Settings (b) from the menu. To exit the Full Screen mode set by Settings > PREFERENCE > Full Screen, swipe down from the top to display the "Full Screen mode" notification (as shown in the figure below), tap it and then uncheck PREFERENCE > Full Screen from the Setting menu.